You can now order printed proofs from KDP. This is a vital step toward ensuring that your book is ready to publish. You can similarly order author copies from KDP. This makes it viable to stock your book in local stores and libraries, and creates marketing opportunities like advance review copies, paperback preorders (through Amazon Advantage), press release packages, paperback giveaways, and book signings. UK and Europe authors should be particularly excited, as KDP introduced a new feature that you can’t get at CreateSpace: author copies and proofs printed and shipped from Europe. The first two changes simply bring KDP up to speed to make it a viable alternative to CreateSpace and Ingram Spark. But the last change offers authors in the United Kingdom and continental Europe something that they can’t get from CreateSpace. CreateSpace will be eliminating paid services in a few months. I don’t see this as an issue really, as I’ll explain below. Links to the CreateSpace eStore now redirect traffic to Amazon.com. Most authors are completely unaffected by this, as most authors get almost all of their paperback sales from Amazon.com anyway. The rare author who was capable of not only generating traffic to their eStore but who could also get many of those customers to overcome the CreateSpace shopping hurdles (like having to create a new account and pay for shipping) will need an alternative, such as BookBaby’s BookShop, Lulu’s storefront, or their own website with payment features. Books automatically receive distribution to Amazon.ca (Canada) within 30 days if the Amazon.com sales channel is enabled. This isn’t that new (although it’s not as well-known as it could be), but I mention it because it’s a distinct advantage that CreateSpace currently retains over Kindle Direct Publishing. Regarding CreateSpace’s paid services, in many ways it was always better to find a third party. Some third parties offer a portable file or a finished product that lets you edit your own file in the future, whereas CreateSpace’s services required paying for corrections in the future. Some third parties are also more flexible, offer economic (or even free) samples of their work, and offer better communication with the actual editor or designer. If you do thorough homework on finding a third party, it may turn out better than what CreateSpace offered. The main advantage CreateSpace had for their paid services (like copyediting or cover design) was the backing of Amazon’s name and their satisfaction guarantee. If you’re looking for paid services from a print-on-demand publisher, one option is BookBaby. Does this mean that KDP is the better POD option now? Convenience: You can use a single account, you get consolidated reporting for both paperbacks and Kindle eBooks, and the setup of both print and Kindle editions occurs on the same site. UK and Europe: You can order printed proofs and author copies and have them printed and shipped from within Europe. This feature isn’t available at CreateSpace, though hundreds of authors have asked for it. Japan: You gain distribution to Amazon.co.jp (Japan). Distribution to other countries: CreateSpace offers better Expanded Distribution. For one, CreateSpace offers distribution to Canada (and those sales are reported and paid as Amazon.com sales, not at the lower Expanded Distribution royalties, which is a nice bonus) and to Mexico. Distribution to bookstores: CreateSpace offers expanded distribution to bookstores and non-Amazon websites. KDP doesn’t provide this option yet. 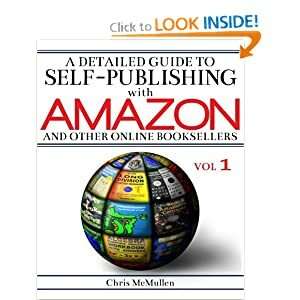 Most self-published authors sell almost all of their paperback copies on Amazon.com. In that case, KDP is now the better option. If you ordinarily get significant sales through the Expanded Distribution channel, I would hold off on migrating your titles to KDP. If you’re new to the self-publishing industry, I now recommend KDP over CreateSpace unless you have solid, thoroughly researched plans to use CreateSpace’s Expanded Distribution effectively to get your book stocked in local stores or libraries (though selling author copies rather than using the Expanded Distribution channel is in some cases the better way to achieve this—in that case, KDP works just fine, and gives you an advantage if you reside in the UK or continental Europe). If you reside in the United Kingdom or continental Europe, KDP has the advantage of printing and shipping proofs and author copies from within Europe. KDP has been adding features to their POD service, while CreateSpace recently removed the eStore option and will soon eliminate paid services. Ingram Spark is the main alternative to using an Amazon company. CreateSpace and Kindle Direct Publishing provide the natural feed to Amazon.com, and most indie authors sell their paperbacks primarily on Amazon.com. For the rare author who has thoroughly researched effective ways to take advantage of bookstore and library distribution possibilities, Ingram Spark may offer better worldwide distribution, and for the author who has a significant following outside of the United States, Ingram Spark may have an advantage. CreateSpace and Kindle Direct Publishing offer a more natural feed to Amazon.com, and they also make self-publishing more affordable (Ingram Spark has higher setup fees). Two alternatives to the Big Three include BookBaby and Lulu. If you’re looking for paid services or if you’re one of the rare authors who could make effective use of an eStore, these options may be worth considering. For example, check out BookBaby’s editing options and BookBaby’s BookShop. I read the KDP email this morning and wondered. Honestly not sure how these changes will affect Australian authors. We get no real advantage from either CS or KDP because there are no print facilities here, or even near here – e.g. Singapore or Hong Kong. As a result, buying our own books or expecting Aussie readers to buy them is crazy – the postage cost is horrendous. There are several indie authors in Australia. It would be nice to see a solution to this dilemma. I’ll second that. I know we’re a small market, but it’s as if we don’t exist at all. With Kindle, my Australia sales are competitive with UK and Canada. So the readership is significant. But since Australian writers can net significant sales in other English speaking countries, including the US, the market for Australian authors should be compelling to a major pod. Yeah, I would have thought so but apparently not. I’m still searching for a local printer – i.e. anywhere in Oz – so I can realistically try bookshops and libraries. At the moment it’s just not feasible. Check out this informative post from Chris McMullen’s blog on the recent changes to Createspace and Kindle Direct Publishing of paperbacks. Thanks, Chris. Useful to have all the changes summarised in this way. You’re welcome. 🙂 I’m glad this was helpful. Thanks for explaining the new features so clearly! Thanks for this update, Chris. I was just beginning to get comfortable with working with both CreateSpace and Ingram for distributing full-color picture books. For my own full-color picture book and one of my client’s, we hired CreateSpace to create our fixed layout e-books. Although we had to wade through a lot of corrections that the conversion process introduced, the final product had all of our links intact and looked great. (I gave up on Kindle Kids Book Creator. Creating the links was just too challenging.) Anyway, when CreateSpace ends this e-book conversion service do you know if KDP pick it up? That’s a good question. KDP hasn’t offered paid conversions in the past. KDP seems to be more about providing free tools, like the Kindle Kids’ Book Creator, Kindle Textbook Creator, Kindle Create, and Kindle Comic Creator. They do have a list of formatters who do paid conversions on the KDP help pages, such as Book Nook Biz. And there are a couple of ebook distributors, like BookBaby, who offer paid services. Thanks for these tips, Chris. I’ll look into these services when the time comes. So much still to come about KDPPRint. I have questions: Why not just duplicate what CS does (when Amazon owns CS)? being 1st & foremost. Seems like a no-brainer. All they should really need to do is change the letterhead. :p It makes no sense to me how they’re going about it. It seems odd to me, too. I was surprised that they didn’t offer printed proofs and author copies from the outset. But now that KDP is catching up and even offers an advantage to UK and Europe authors, it looks like KDP will grow into the favored pod service. Since conspiracy theorists like me wonder how long CS will continue after this, let’s hope so! I’m not sure I made a mistake or was ignorant. I’ve used KDP for my eBooks and CreateSpace for the paperback. If KDP will become totally equal (including formatting software) as CreateSpace, then it won’t make a difference if CreateSpace dies a natural death. However, I don’t trust Amazon to turn KDP into something that will benefit the Indie Author. Their profit calculations have always taken precedence over the provider of the commodity. I don’t expect anything less from them with KDP. It’s a tough market. Thanks for the explanation of the changes. So far, it looks like KDP is using the same pricing and royalty model as CreateSpace for paperbacks. Amazon will probably want their service to remain competitive with competing pods. Right now, KDP and CreateSpace are free services with inexpensive author copies and good royalties. Ingram Spark, their main competition, has higher setup fees. But nothing is guaranteed to last, so it’s always wise to have backup plans ready. Hi Chris. Great article, as always. I have a question. Is the print quality the same at KDP? I ask that because even though I’m generally satisfied with CreateSpace, I’ve never liked how the covers curl so quickly. This should be comparable. Even at CreateSpace, you can have orders fulfilled by a third party printer, so you can only control pod results so much. In my experience, cover curling at CreateSpace is largely due to room environment. For several years, I had dozens of copies in assorted sizes and page counts in my office at school, and hundreds of copies at my house just a couple of miles away. Almost every cover curled at school, and there was almost never any curling at my house. The only difference was indoor humidity, temperature, etc. At school, I was able to minimize curling by leaving the book closed when not in use, but if I left a book out on a desk, it curled overnight. Thanks. I figured it would be comparable. CreateSpace covers always curl at my house if I open them even slightly, but not the covers of books I’ve purchased from other printers that are of a similar size and quality. I currently order my print books from CS, but use IngramSpark for expanded distribution. I don’t see a problem switching to KDP Print for the most part, except that KDP has had *horrible* customer service to this point. Not even a phone number to call. While CS will give you a live person who helps when you need it. If KDP can add customer service to their repertoire, I’m all for it. I’ve been lucky. I’ve contacted CreateSpace and KDP several times with excellent service. I don’t expect KDP to offer phone support, but on a couple of occasions, after I contacted KDP online, they actually called me. This usually doesn’t happen, and probably depends on the nature of the issue. I agree that it is nice to be able to call CreateSpace immediately on the phone, whereas there is a mandatory delayed response with KDP. Thanks for this very informative article, Chris. As an European based Author, I think I may now change my decision to go with CS and use KDP instead. I still use CreateSpace because it’s what I’m used to, but if KDP ever lets us do Amazon pre-orders I’ll definitely switch. I’m currently researching this because other authors have said we need to move our titles over to KDP before CreateSpace pretty much flops and we lose the title. I’m not interested in transferring things over, I want to focus on the next books in my future. Is there a way to discontinue the paperback and keep only the KDP e-book? It’s my book baby, and I’m proud of it, but I’ve got so much more in me than sitting down and figuring out how to switch things over. Open to opinions on what to do about NOT switching my paperback to KDP. I’m not sure whether CreateSpace and KDP will eventually merge, but if they do, most likely either the CS titles will automatically roll into KDP or Amazon will provide an easy transition. It is possible to disable the paperback sales channels, but I don’t see anything to gain from it. I would just focus on your future books. Good luck.